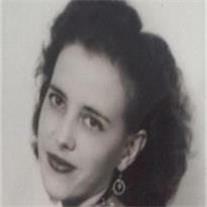 Lena Lovena Cooper, 89, of Mesa, Arizona passed away October 11, 2012 in Scottsdale, Arizona. Visitation will be Wednesday, October 24, 2012 from 6-8 PM at Bunker’s Garden Chapel, 33 N. Centennial Way, Mesa, 85201. Funeral services are Thursday, October 25, 2012 at 11 AM, preceded by a visitation at 10 AM also at Bunker’s Garden Chapel.